CSI: Las Vegas - Episode 10.02 - Ghost town - Set Photos . . HD Wallpaper and background images in the CSI club tagged: csi season 10 10x02 ghost town set photos. 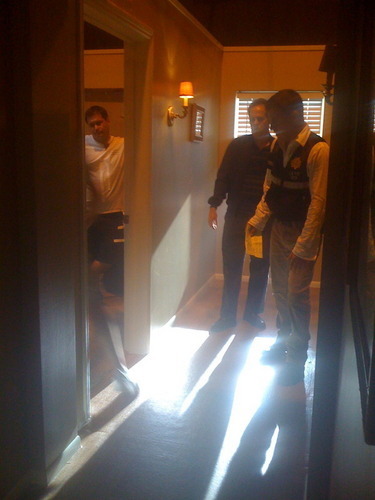 This CSI photo might contain revolving door and revolver.